The ABA Standing Committee on Ethics & Professional Responsibility has called for comments on a comprehensive proposal by the Association of Professional Responsibility Lawyers to standardize lawyer advertising rules and to focus regulation on false and misleading communications about legal services. See ABA Center for Professional Responsibility, Seeking Comments to Proposed Amendments to Model Rules of Professional Conduct Rules 7.1-7.5 (Feb. 2017). The APRL proposal is here: Association of Professional Responsibility Lawyers, Consolidated Proposed Amendments to ABA Model Rules of Professional Conduct 7.1-7.5 (Sep. 29, 2016). 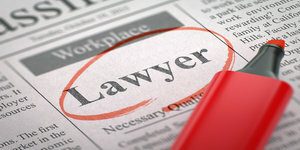 that the practical and constitutional problems with current state regulation of lawyer advertising far exceed any perceived benefits associated with protecting the public or maintaining the integrity of the legal profession, and that a practical solution to these problems is best achieved by having a single rule that prohibits false and misleading communications about a lawyer or the lawyer’s services. Delete entirely current Model Rules 7.3 (Solicitation of Clients), 7.4 (Communication of Fields of Practice and Specialization), and 7.5 (Firm Names and Letterheads). Define “solicitation” as “a targeted communication initiated by or on behalf of a lawyer, that is directed to a specific person and that offers to provide, or can reasonably be understood as offering to provide, legal services for a particular matter,” and prohibit “in person” solicitation by a lawyer or the lawyer’s agent in a “face-to-face” or “live telephone” context, “when a significant motive for doing so is the lawyer’s pecuniary gain.” However, it would expressly permit solicitation: (1) if the person solicited is a lawyer or sophisticated user of legal services; (2) if the solicitation is done pursuant to a court-ordered class action notification; or (3) if the person solicited has a family, close personal, or prior professional relationship with the lawyer. Should Louisiana Amend Its Advertising Rules? In 2008, the Louisiana Supreme Court adopted some of the most complex and indecipherable advertising rules in the country. Have these rules—which were the subject of costly federal litigation ultimately funded by us (Louisiana lawyers)—proven to be worth it? To rip off an old campaign speech, it might be well if we would ask ourselves this: Are we better off now than we were eight years ago? Are prospective clients better informed? Are lawyers’ advertisements “better”? Are Louisiana lawyers more respected? In my view, the answer to all of these questions is “no.” As APRL, other state bar associations, and now the ABA have begun to recognize, lawyer-advertising regulations should simply ensure that lawyers don’t deceive or coerce prospective clients. Those laudable goals are best accomplished with simple rules prohibiting false and misleading communications, and prohibiting in-person solicitation. For that reason, the labyrinthine regulations contained in the current Louisiana rules should be junked.